EIA campaigners were at the 69th meeting of the CITES Standing Committee (SC69) in Geneva, Switzerland, last week. A packed agenda saw a wide range of issues raised for discussion, from tiger farms and domestic ivory markets to management of seized timber stocks and guidance for demand reduction programs. Throughout the meeting, EIA were busy preparing and making interventions, lobbying delegates and coordinating with other NGOs, trying hard to maximize the effectiveness of CITES in preventing over-exploitation of wildlife worldwide. Below is a short summary of some of the key issues EIA was working on, along with some major wins, losses and indications of high-stakes debates due up at the 18th Conference of the Parties (CoP18) in Sri Lanka in 2019. While we wanted to see Japan and Singapore commit to more robust actions to address their role in the ivory trade, we were happy to see that they continue to remain under the spotlight at CITES. Both countries will have to report on actions taken to reduce their role in ivory trade for the next CITES Standing Committee meeting in October 2018. 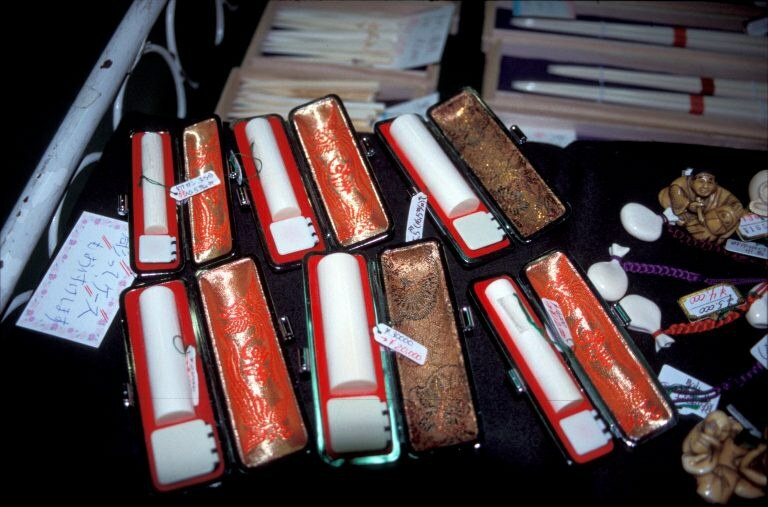 In the coming months, we need to keep up the pressure to encourage Japan to close its domestic ivory market and for Singapore to take action against the individuals and businesses that use its port as a major transit point in the illegal ivory trade chain. Several CITES Parties, including Kenya, the EU and the U.S., stressed the need to continue to prioritize the fight to combat ivory trade in light of the high levels of poaching and ivory trafficking that remain a serious threat to elephants. The EU called on all parties to submit timely samples from large-scale ivory seizures for forensic analysis so it is possible to identify the source of the ivory concerned. We are pleased about the adoption of a proposal submitted by African elephant range states calling on CITES Parties to report to the next standing committee on efforts to close their domestic ivory markets. EIA and other NGOs jointly made an intervention highlighting our expectation that by this time the UK and the EU would have adopted stringent action to close their own ivory markets. More information on how you can contribute to the ongoing public consultation on the closure of the UK ivory market is available here. At CITES CoP17 last year, several Decisions were adopted directing the secretariat to work with parties and other members of the International Consortium on Combating Wildlife Crime (ICCWC) to scrutinize illegal trade in Asian big cats, including in captive-bred animals. Implementation of those decisions is in large part dependent on funding for consultants to undertake reviews and analysis and for the secretariat to undertake special missions. The desired outcome will be a report to the next standing committee presenting a series of time-bound, country-specific recommendations. At SC69, the official documents clearly illustrated that there hasn’t been any real progress in initiating those reviews. There was no official information of substance to discuss so no working group was established. Instead, parties and NGOs made interventions from the floor, expressing concern at the lack of urgency with which this issue is being addressed. The EU has provided funding for the review and missions to examine tiger and other Asian big cat farming, and urged other parties to provide funding for the wider review of Asian big cat conservation and illegal trade. EIA and others echoed the comments of India, the EU and the U.S., which noted there is sufficient information already available in previous CITES reports. We pointed out that NGOs have sufficient information on tiger farming and trade for the secretariat to easily identify countries of concern. 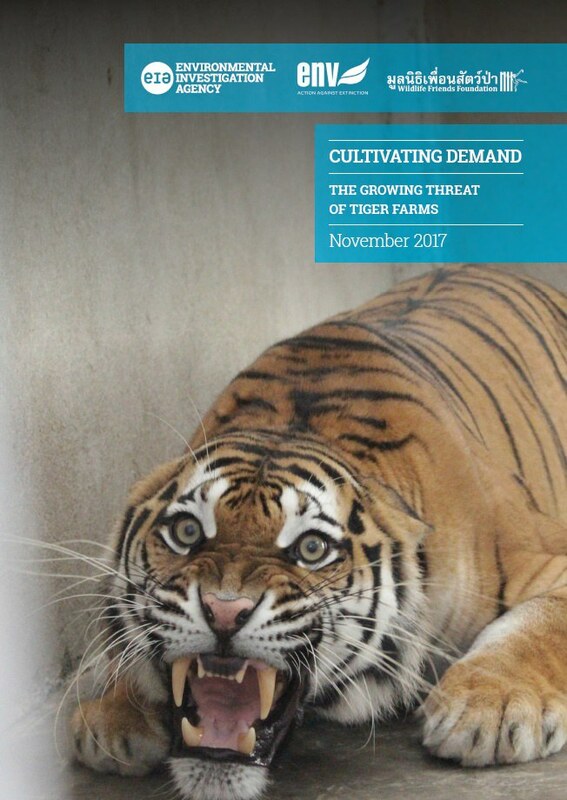 We also drew attention to the fact that trade in farmed tigers is not just sustaining and stimulating demand for wild tigers but is driving poaching and trade in leopards, snow leopards, clouded leopards and, increasingly, jaguars and African lions. It was encouraging to hear that not just India but Thailand and Russia have also been collating stripe pattern profile images of tigers using camera traps and, in Thailand, of captive tigers—all the more reason for any and all parties that have seized tiger skins to share images with these countries. Since India’s database holds camera trap images dating back to 2006, images from historical seizures should be shared. We were disappointed that despite this being recommended by the Global Tiger Forum and NGOs, SC69 did not adopt such a practical measure. We and every other organization that has information on illegal trade in Asian big cats, including farmed specimens, and information on trade in jaguar and African lion entering the same physical and online markets (where they are often sold as tiger) should ensure the secretariat has all the evidence it needs to make some hard-hitting calls to action ahead of the next standing committee. EIA had also prepared a CITES Appendix I Asian big cat pocket guide on behalf of the CITES secretariat, which was distributed to parties only at the meeting. The guide offers a quick reference to distinguish the different cat skins and other body parts from fakes, as well as quick reference checklists for officials dealing with poaching and trafficking incidents. 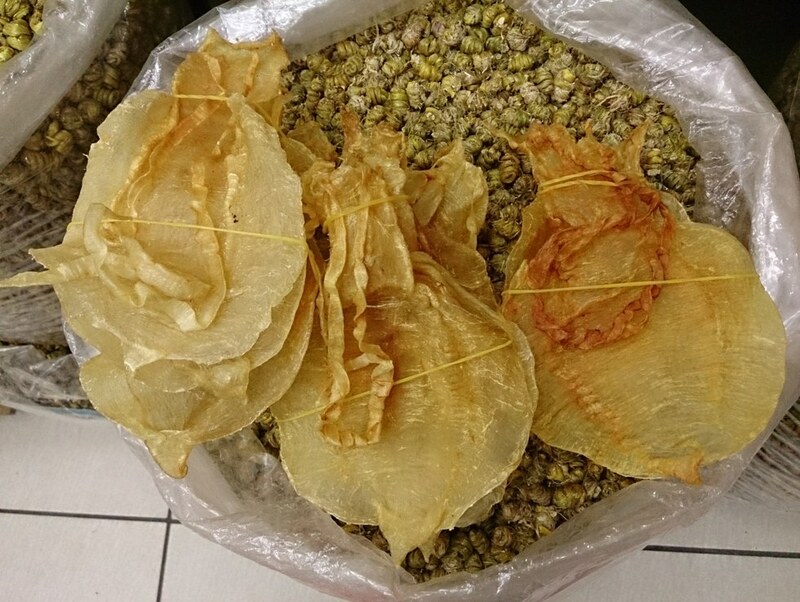 EIA was initially frustrated by the lack of teeth in recommendations to tackle illegal fishing and trade in totoaba, which is responsible for the imminent extinction of the vaquita. On behalf of nine NGOs, we called for a high-level mission to be conducted, with timebound actions to be enacted by the U.S., Mexico and China. In the final moments of the meeting, there was a turn in the tide when the Mexican delegation supported EIA’s intervention. We will be closely following the high-level mission in February 2018, working to ensure it includes meaningful actions to fully protect the last remaining handful of vaquita. Read more about this last-minute glimmer of hope here. A heated debate on Monday saw Japan criticized for hunting sei whales, an endangered species listed on CITES Appendix I. Taking Appendix I species from the high seas for commercial benefit is prohibited, but since 2002 Japan’s ‘scientific’ whaling program has repeatedly been exposed as a commercial operation, with a government-endorsed program to boost demand for whale meat. While many parties and NGOs noted there was already enough evidence to take action on the grounds of non-compliance, SC69 ultimately decided more information is needed and requested that Japan invite CITES to undertake a technical mission to gain more insight into the situation. International commercial trade in all eight pangolin species was banned by CoP17 last year following proposals submitted by 18 pangolin range states. 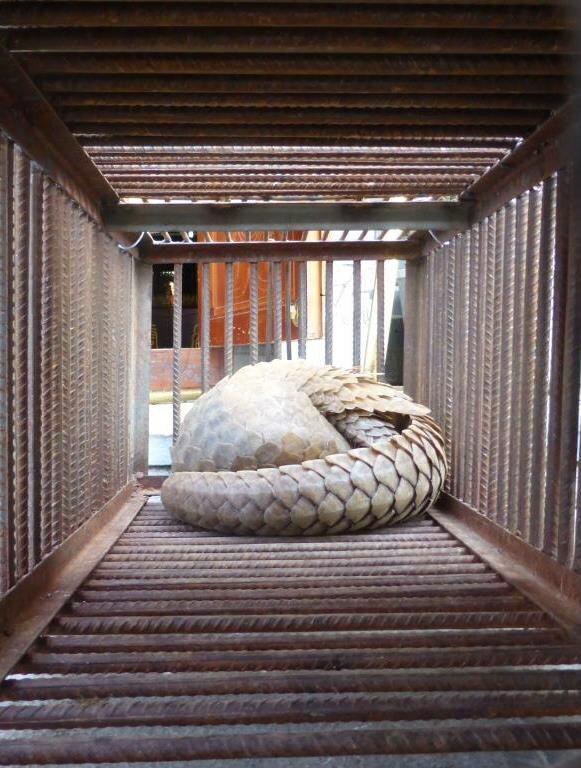 However, a controversial document presented to SC69 implied the possibility of continued international trade in stockpiles of pangolin, a situation which would seriously undermine the ban and goes against both resolutions adopted by previous CoPs and a long-standing CITES precedent. While the vast majority of countries opposed this possibility, including several African pangolin range states which spoke passionately in opposition, China pushed hard to keep the option open. An amended document, which clarified that stockpiles cannot be traded, was ultimately adopted by vote, with China, Russia and Kuwait voting against. EIA was disappointed to see China acting against the express wishes of the CITES community to undermine the ban, strong enforcement of which is sorely needed to save the world’s most trafficked mammal. The government of Laos has been under suspensions of trade in particular species for several years, but despite this there has been little progress from the government in addressing the corruption and governance issue that have left the country a wildlife criminal’s paradise. At SC69, Laos’ non-compliance was the subject of a working group in which EIA and other NGOs participated. The U.S. called for Laos to face full trade suspensions now, while the EU favored a warning and a time-bound process for specific remedial action to ensure Laos sets up proper CITES authorities and takes action to stop trade in parts and products of tigers (including farmed tigers), elephants, rhinos, pangolins and other wildlife. Laos’ representatives agreed to a schedule that requires them to submit a time-bound action plan with indicators to implement the CITES recommendations by June 30, 2018. If there is no substantive progress, the secretariat has been given the mandate by the standing committee to recommend trade suspensions across the board. With all the millions of dollars of aid flowing into Laos, and the steady flow of information from EIA and other NGOs regarding illegal wildlife trade, there is now little excuse for no further progress.